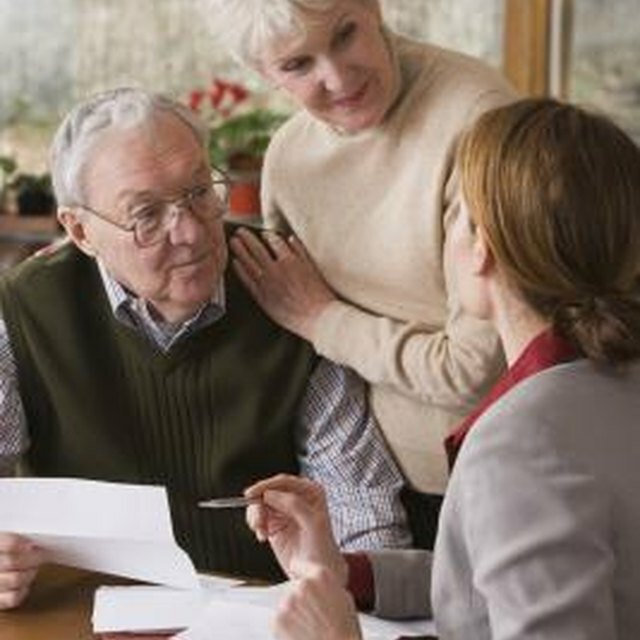 Annuities are tax-deferred investments granted this status via the IRS. While the IRS does allow for an annuity to have a loan taken against it, not all annuities offer a loan provision. This may be a blanket policy among the insurance company offering the annuity or specific to an annuity product that may be based on fluctuations of principal or existing income use. If you find that you have saved money in an IRA and now find yourself in financial hardships, where you need to access this money but don't want to be assessed large penalties to do so, you need to explore the options your annuity provides. Contact your annuity administrator and ask if there is an annuity provision available. If there is, inquire as to what the terms are. You will need to know the existing interest rate, the amount you are allowed to borrow from the annuity and how long before it needs to be repaid in full. Most annuities will have an interest rate similar to a bank's short-term loan rate. Annuities often require payment to be within six months of the loan start day and only allow a percentage of the annuity to be borrowed against. Request the loan paperwork if your annuity does have this provision and you are comfortable with the terms. Apply for the loan by filling out and submitting the paperwork. After it is submitted and evaluated, you will be given an offer letter from the company. This is very similar to a loan offer from a bank that confirms the terms and conditions of the loan. Confirm the loan offer and accept the loan if you understand and agree to all the terms. Be sure you understand the fine print and call the representative if you have any questions. Once you sign and accept the offer, the annuity company will send you a check for the loan amount. Repay the annuity on time. It will become much more costly than just late payments if the annuity loan is not paid according to the offer terms. If you are unable to borrow from your annuity, you may be able to use the asset as collateral for a loan. A bank may place certain restrictions on the annuity, but if this is your only option, you should explore it. If you die before the loan is paid in full, your beneficiaries will receive the death benefit less any loans against the policy. The annuity may also be terminated if you do not pay the loan on time. This means the money will be released and you will be assessed taxes and penalties on any growth in the account.